Suda51 Wants to Remake Killer 7? 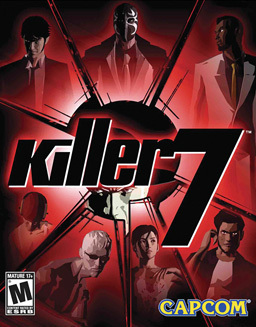 If you were around in the Gamecube days, you likely have at least some vague memories of a game called Killer 7. A strange action game based around a group of assassins called the killer 7 (who are manifestations of a man named Harman Smith), the story has them hunting down a group called Heaven’s Smile and finding out about a conspiracy involving Japan and it role in US politics in the process. It’s a complicated game to explain really. The kind of title that makes you think ‘this is definitely a weird Japanese thing’. Either way, it became a cult classic in the day, and led to later Suda51 works like No More Heroes. So yeah, there’s definitely interest in the idea of a remake there. Okay, it’d need to go through Capcom (since they published the original title), but they were supportive of it before. So it’s likely they’d support a remake too, at least if the interest was there. But what do you think? Would a Killer 7 remake be a good game to have? And if so, what changes do you think the title should receive?